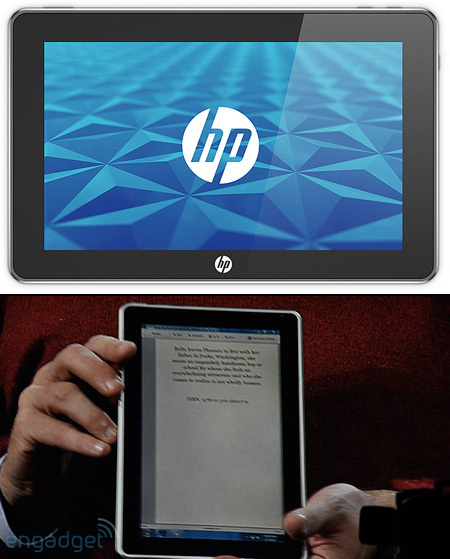 Hewlet Packard is preparing to unleash a product that they say could dethrone the iPad. This product is the upcoming WIndows 7-powered tablet called HP Slate. Below we have a 30-second teaser video which reveals to us many of the HP Slates cool features including built-in camera, a USB port (a real one, not an adapter), and an SD card slot. Although the video below is very revealing HP itself has not yet officially come up with the details of this product. However, basing it from unofficial inside reports many are commenting that HP is positioning the Slate as an iPad killer. Some of the features of HP Slate which are missing on the iPad includes two cameras specifically a 3MP lens in back and a front-facing VGA camera for video conferencing, a single USB 2.0 port, an SD card reader, a "conventional" SIM tray for 3G networking, and HDMI-out video capabilities.